Dr. David Nelson: Words are like bullets and I let them pass right through me. Q: Is "Viggo's" a real or fictional coffee shop? Q: Is "Day Time Night Time" a real or fictional covenence store? Q: Is "Wheel of Fortune" a real or fictional game show? After a disappointing tenth season, Trey Parker and Matt Stone have started off Season 11 with a bang - satirizing the media frenzy caused by the Michael Richards racial slur incident late last year and yet again touching on a very fragile subject matter: the "N-word." The reason "South Park" can get away with using the N-word over 40 times in one episode, of course, is because - unlike "Family Guy" or other basic shows - "South Park" has evolved into an intelligent criticism of society and every episode deals with some kind of current events issue, and in particular this episode addresses the impact of these harmful words more so than just the shock of the word itself. 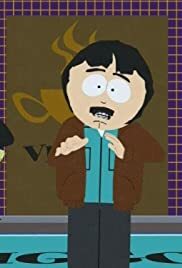 Stan's dad Randy uses the N-word on national television and becomes the subject of hate - facing a sort of modern-day twist on racism, with people calling him "the N-word guy" and not allowing him to shop in stores or go anywhere without being confronted. He's even chased down by a pack of rednecks who take issue with his degradation of an entire race. As a subplot, Cartman takes issue with a midget teacher who ends up trying to fight Cartman. Hopefully the episodes will continue with this strength and won't deteriorate over the season's progression.